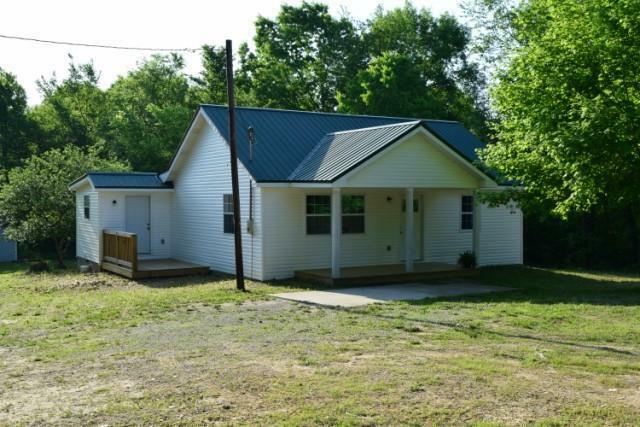 This affordable home on 5 acres has been extensively remodeled! Metal roof, new vinyl siding. Kitchen has new counter tops and new cabinets. Lots of lighting and ample work space. Laminate flooring throughout. New wiring, new hot water heater. City water. Large level yard with shade trees. Private!